Building a cardboard house from scratch may seem like a big project for a beginner, but a sound blueprint and the right plan can make this much easier. 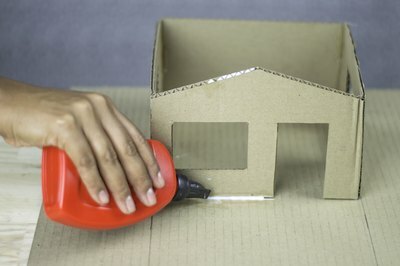 Start with a stiff sheet of cardboard and finish with a realistic-looking house in just a few hours. Create a blueprint for your model home. 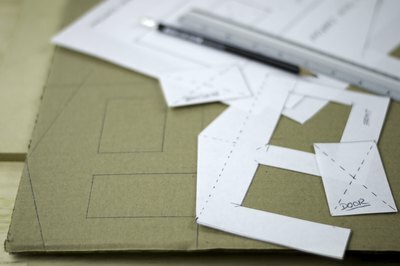 Draw your plan out one piece at a time on paper and then draft it in exact scale onto the cardboard sheets. 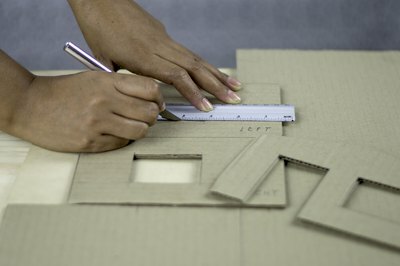 Include doors, windows, chimneys and other details that must be cut into the cardboard. 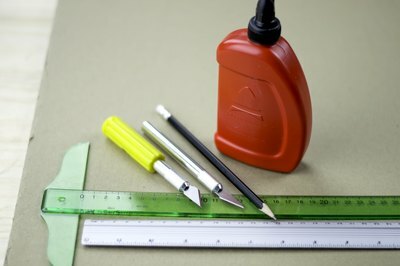 Use a metal straightedge and hobby knife to begin cutting the pieces of the house out of the cardboard. You may need to use several different types of blades to cut the cardboard effectively. Cut out the doors and windows as well. 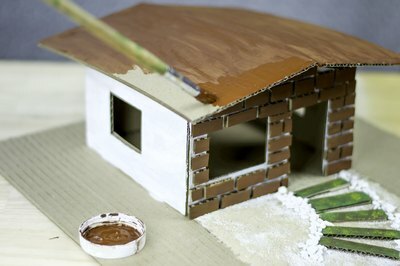 Glue the sides and roof of the house together using CA adhesive. Thoroughly coat each edge with CA and then hold the joint together with your hand for a minute to allow the adhesive to set. Spray or coat the house with sealant and then paint it. Score simulated siding into the cardboard after the paint has dried; otherwise the paint may soak into the inside of the cardboard, rendering it useless. Cut detail pieces out of cardstock and glue them to the structure. 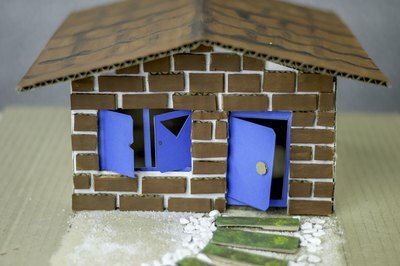 These can include doors, windows, shutters, siding or other details that cannot be cut out of cardboard. You may want to paint these pieces before attaching them for simplicity.